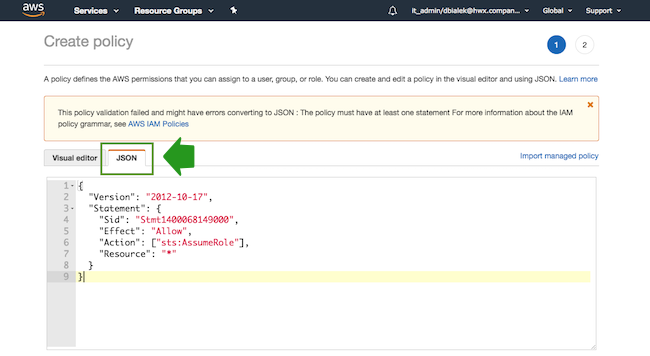 Select the JSON view, and then copy and paste the policy definition. 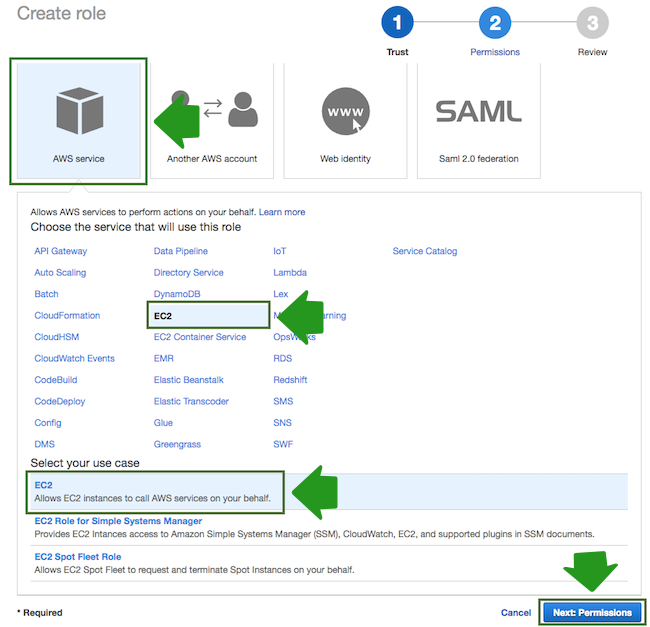 You can either copy it from the section preceding these steps or download and copy it from here. When done, navigate to Review policy. 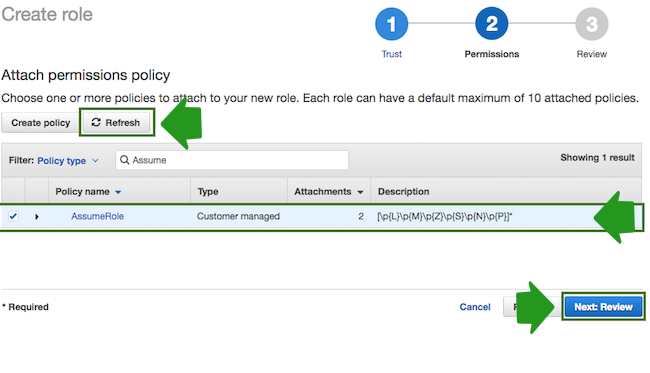 When done, click Create Policy. Return to the previous browser tab where you started creating a new role (since the create policy wizard was opened in a new browser tab). When done, click Next: Review. 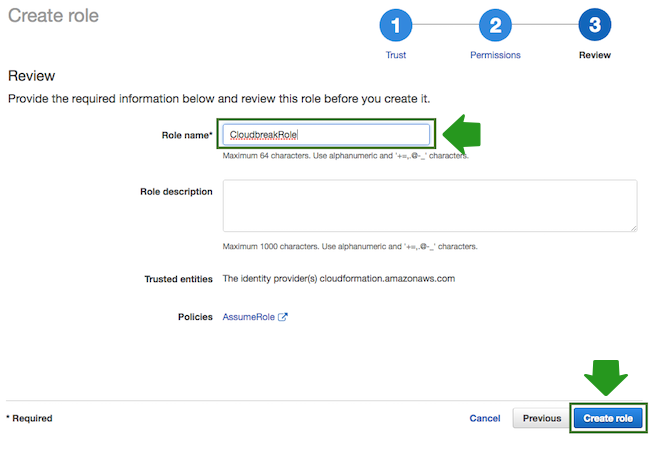 When done, click Create role to finish the role creation process. 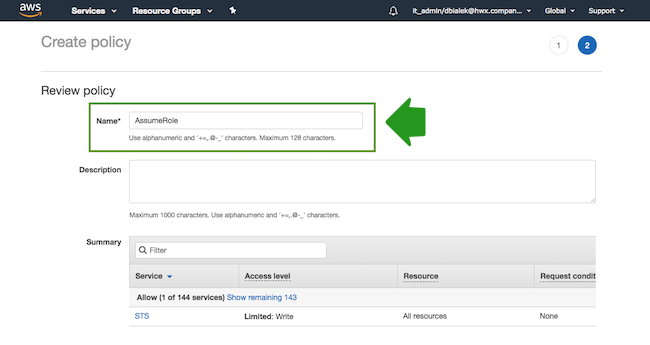 As an outcome of this step, the CloudbreakRole should be created in your IAM console on AWS.